Two major issues within the last couple years greatly illustrate the growing presence of the hacking culture: the Snapchat incident of 2013, where users’ phone numbers and images were leaked, and the Sony hack, where North Korean hackers leaked emails from a key Sony executive to stop the release of the James Franco and Seth Rogan movie, The Interview. Although North Korea’s main objective was not entirely successful (the movie was released in selected theaters and can be purchased online), hacking is still a major global issue. For this reason, computer security experts have been focused on protecting cyber information by strengthening security for the internet and wireless communication. Technological devices, however, leak signals that were thought to be nearly undetectable. 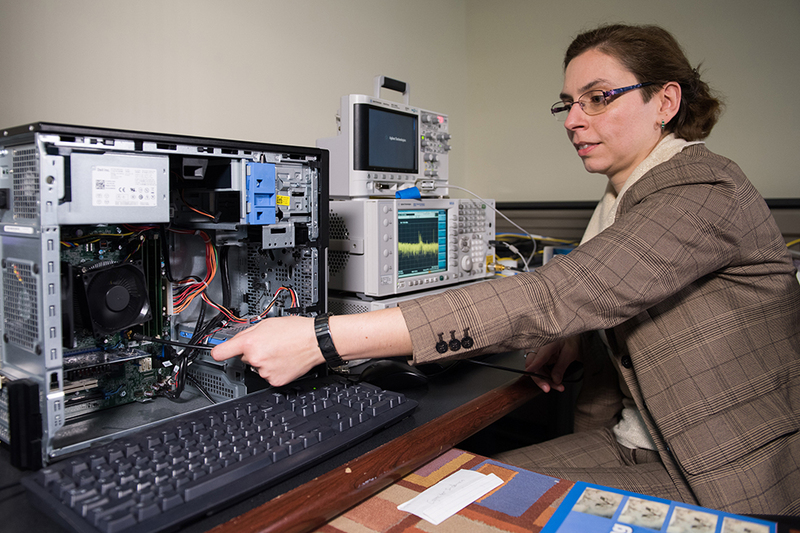 Dr. Alenka Zajic, an assistant professor in the School of Electrical and Computer Engineering, along with her husband and colleague Milos Prulovic, an associate professor in the School of Computer Science, prove that this is not the case. When further describing the relation of signal strength to proximity, Zajic said that when taking measurements, she could be typing in one room and her colleague in the room next door could read the signals. It is unsettling to know that even when offline there is still a possibility of being hacked. With these issues coming to light, one obvious questions stands: How can I prevent this information from being leaked? Unfortunately, individuals can only remain worried for the time being. There are no specific precautions or safeguards currently available. “This is pretty much an open field. We have just scratched the surface. Many more things can be done,” Zajic said.